When you are reading JIRA comments and come across things like "Hi, how are you?" or "Kind regards, Jeremy Shield" you can always tell the user is using JIRA instead of email. Or even worse "BTW, John didn't show up at work today again. Can you believe it?" 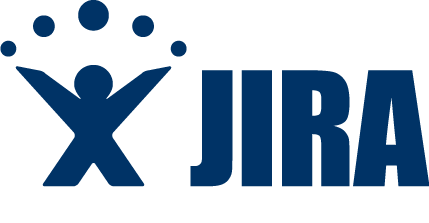 Every JIRA ticket has its purpose of completing given task. Any information that is not related to tasks at hand decreases productivity. If you want to have the task resolved, stay focused. There is a good reason Atlassian includes this function,.Use it! Unless you are talking to yourself Even if you are talking to yourself, address the comment by mentioning the user. Mention users by typing "@" and user, then pick the user from the list. This not only stands out in the comments, but also triggers notification to the user in case they are not watchers. Just dumping them into a ticket and saying "file attached" is not enough. It takes no extra energy to do it right, so do it. Imagine you are given a task with 48 comments and 14 attachments, and all the users are saying "file attached" - go figure. Start the comments first, then drag the attachment across - JIRA will add the link to your comment automatically - that's it! You just saved hours of wasted time and confusion. If the link doesn't come up automatically, just click on the icon and select it from the drop down. String index out of range: -1 "
Not only this error hide what you had to say, it is also annoying to remove if your permissions don't allow you to edit comments. It won't generate an error. You can click on it directly. You can see the ticket status without leaving the page. This is very common when people are exchanging a lot of comments and don't want to re-assign the ticket every time. But if your company is dealing with more than 10 tasks across all projects, which it hopefully does since you are using JIRA to manage it, it is impossible to keep track of the next action. The same goes for updating the status. Are you just using "Open" and "Closed" statuses? Time to update your flows to something useful. The rules are simple, if the ticket is in your name, you are the one to progress it. Also, the tickets are not going to transition themselves to "Closed". Knowing the status of each ticket is critical. JIRA uses statuses so users don't need to remember them or even worse, keep track of them in a spreadsheet (yes, that's you I'm talking about). We all know how this goes. Ticket hijackers cause the tickets to go on forever and confuse everybody. But it takes two to tango. As the next action taker, you shouldn't just continue with the new request. The next assignee (or anyone else working on the task) has the power to stop it and create a sub-task instead. Yes, that's it. Each ticket is a task and that task only. If you discovered something new, it is a new task. If you spot a hijacker, create a sub-task. This is the most obvious one and unfortunately the most common one too. Having the complete information about the task is absolutely necessary. There are no shortcuts to this. No, a phone call is not OK. All the information needs to be on the ticket for everyone to see at any given time. Create every ticket as if your grandma was to start at your company 2 years from now and she was the one to action it.